Sky Sports is asking England's cricket fans to send in pictures and video that capture the spirit of #MyAshesSummer, with the best content to be featured in upcoming Sky Sports TV advertising. The broadcaster is tapping into the frenzy of the Ashes this summer, when England will take on its Australian rivals. The campaign, which is aimed at capturing the essence of what the Ashes means to players and supporters, lies at the heart of Sky’s summer programming, with Sky Sports 2 being rebranded ‘Sky Sports Ashes’ for the two months of cricket broadcasting from 1 July. 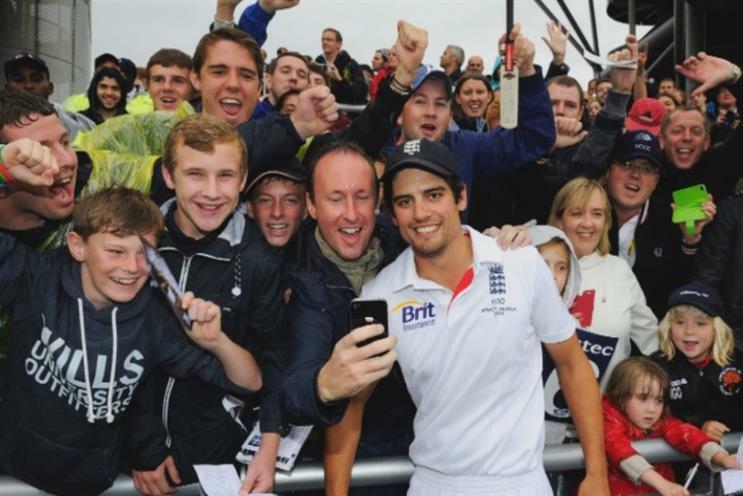 Using the #MyAshesSummer hashtag, fans can send in their own content, such as selfies, video and photos of friends and family celebrating at the pub. User-generated content will be used in Sky's Ashes TV advertising alongside footage of great Ashes moments and behind-the-scenes content from the Sky Sports cricket team. The TV ad will be updated after every Test, with new content sent in by fans. Images or video can be shared via Facebook, Twitter, Instagram and Vine, while Sky Sports has created a landing page with a media ‘wall’ to carry more of the UGC content submitted. Catherine Parsons, Sky’s head of sports marketing, said: "The Ashes is the pinnacle of cricket for English and Australian cricketers and for fans, no other competition matters more. "It will bring us all together and our Sky Sports campaign is about capturing that mood of the nation through selfies, tweets, Instagram videos and status updates."